On July 1st, we finally made the finishing touches to MELT 2.0, and made the move from our tiny Rosedale space to the Magnolia beauty we now call home. We had an amazing weekend of parties to commemorate the occasion, complete with appearances from The Photo Wagon and HD Vinyl and HiFi. We had record crowds, incredible new flavors, and more fun than we had ever dreamed possible. Christmas in July is a MELT staple. Every year, we deck ourselves and our shop out in Christmas cheer, blast carols, and make our favorite festive ice creams. But this year, we got everyone else to join in too. 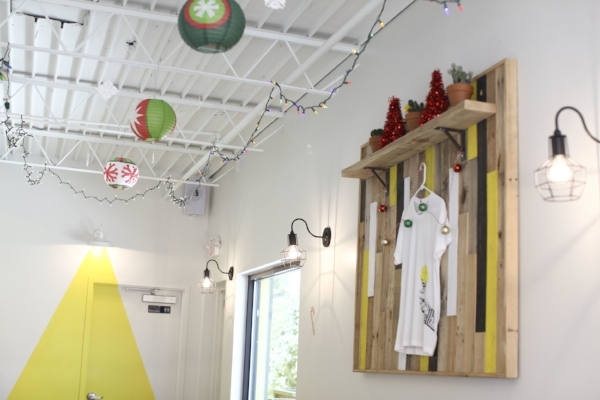 So many Southside businesses joined in, from Bentley's to Funkytown to Ellerbe. We get so excited watching this tradition grow every year! If Christmas in July is our long standing, out of season Christmas celebration, then Cocoa and Carols is our newly created, well timed Christmas celebration. For the first time but definitely not the last, we made a ton of hot chocolate, got some friends to bring their instruments, and invited you all to join us to sing Christmas carols. 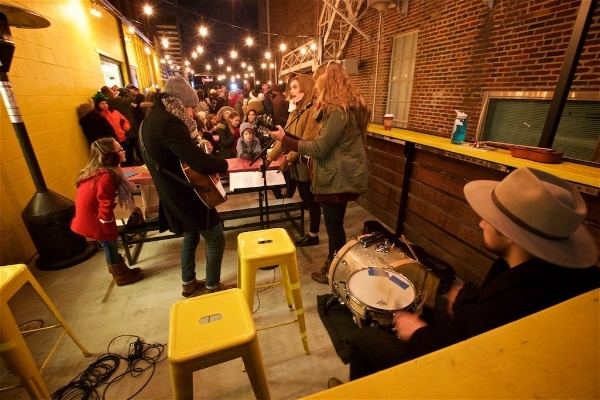 It just happened to be the coldest day of the year, but it didn't stop us from partying, or you from packing our patio. You're all welcome back next year! 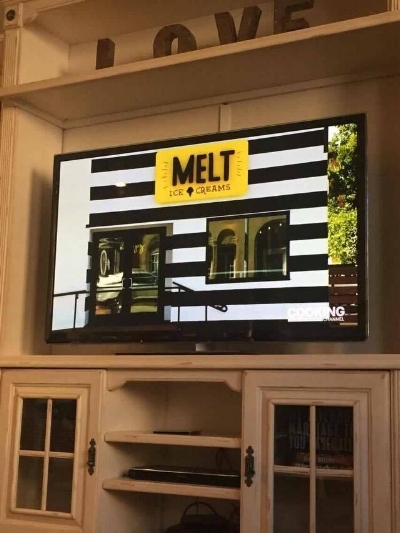 December also saw MELT featured on the Cooking Channel, and our taco sundaes and happy faces were seen by ice cream lovers all over the country. It was a huge honor and a big moment and we're still pretty happy about it. Hit this link to see the full episode! Through the months of January and February, we partnered with some of our favorite craft beverage friends to make a stellar lineup of alcohol inspired ice creams. 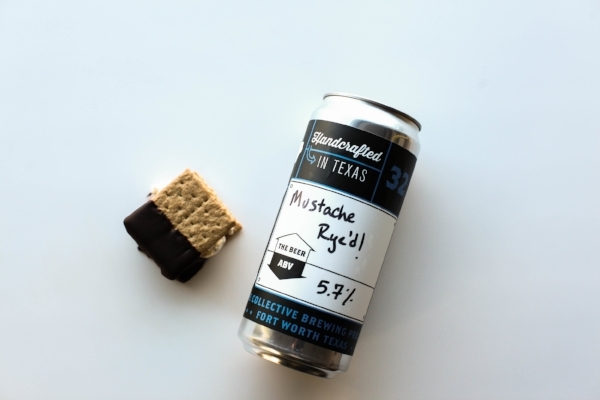 We joined forces with Rahr & Sons, Collective Brewing Project, Firestone & Robertson's, Kent & Co, and Hopfusion AleWorks to make mind blowing Saturday specials. 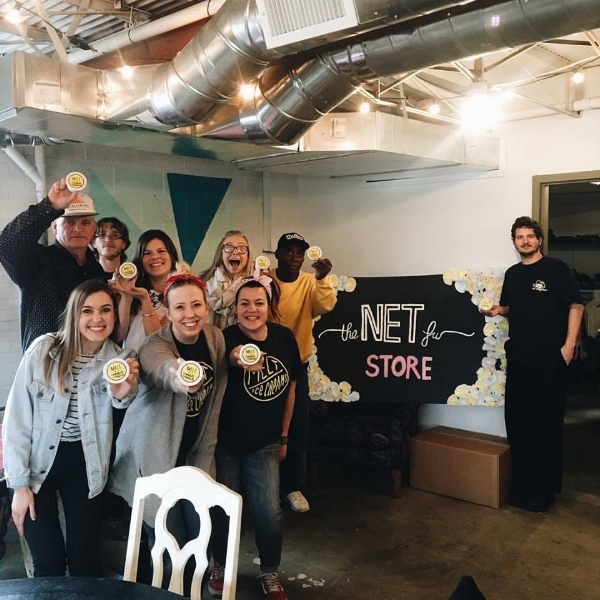 We've partnered up with our friends at the NET for this whole year, and we are loving getting to join them for serve days and contribute all we can to their cause of loving Fort Worth friends who are experiencing homelessness. As a bonus, if you want to get in the action, we are currently taking donations of bug spray, flashlights, and new adult shoes to send to them! Just bring them by our shop! MELT's third year was a non stop adventure, and we could not be more proud of all that's happened. Every scoop served and every smile created has been an absolute joy. Can't wait to see what's next!